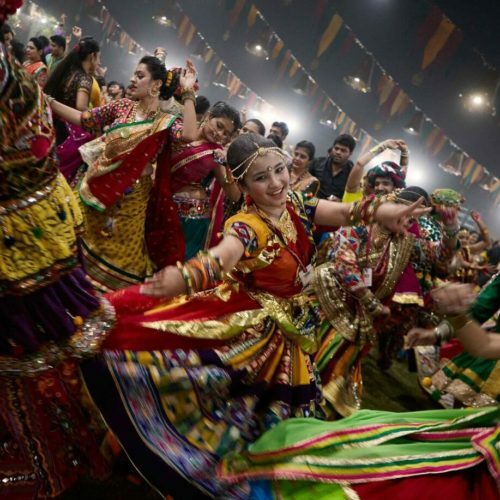 Given its size, its diversity, and its long history, India is a country of numerous vacations and festive traditions. 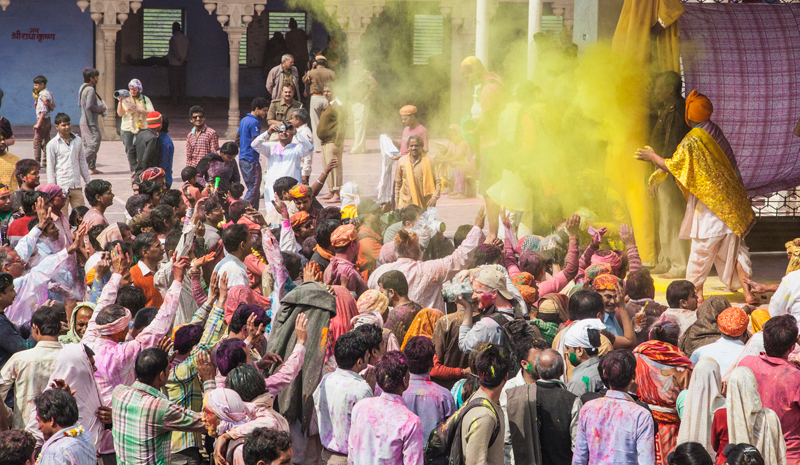 But few inspire as much celebration—or encourage as much wanderlust—as Holi. The optics certainly help. 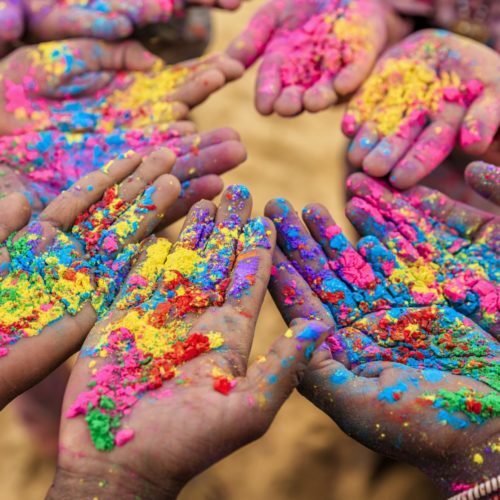 Celebrated by Hindus as a triumph of good over evil, and coinciding with the arrival of spring, Holi is often described as “the festival of colors.” That’s thanks to the tradition of tossing gulal, or vibrant powdered pigments, into the air (and at fellow revellers) on the second day of the vacation. Today, Holi is celebrated across the Subcontinent, has spread to other corners of Asia, and is even catching on in Europe and North America. 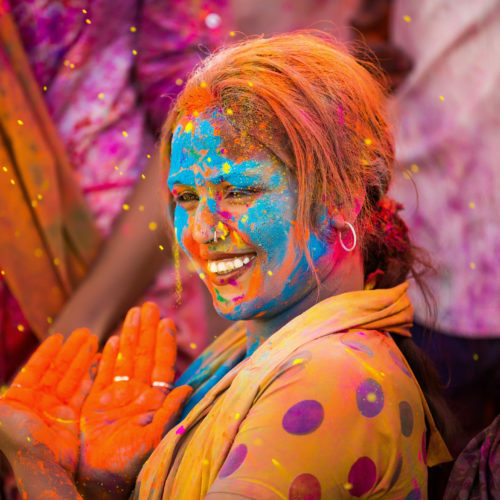 That said, there are still a few places in India where Holi celebrations are particularly noteworthy, and which travelers should set their sights on. This year, events will be held on the evening of Thursday, 1st March and all day on Friday, 2nd March. 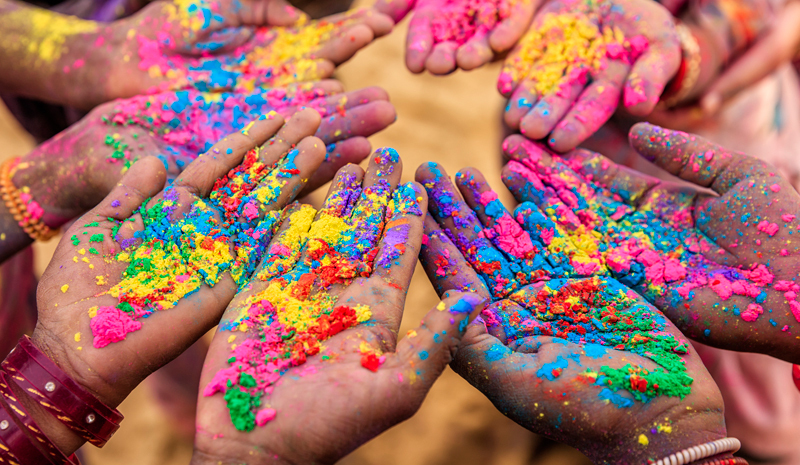 Before booking your trip to the Subcontinent, read on for our tips about where to celebrate Holi in India, from the palaces of Rajasthan to the beaches of Goa. Rajasthan is already a place of otherworldly beauty and vibrant colors, and its picture-perfect appeal only heightens during Holi. Celebrations here are as colorful and high-spirited as the vacation gets. In Udaipur, evening festivities are hosted at the City Palace, where A-listers and dignitaries gather to celebrate with the local Maharana. A ceremonial procession, bonfire, and fireworks are all part of the evening display. 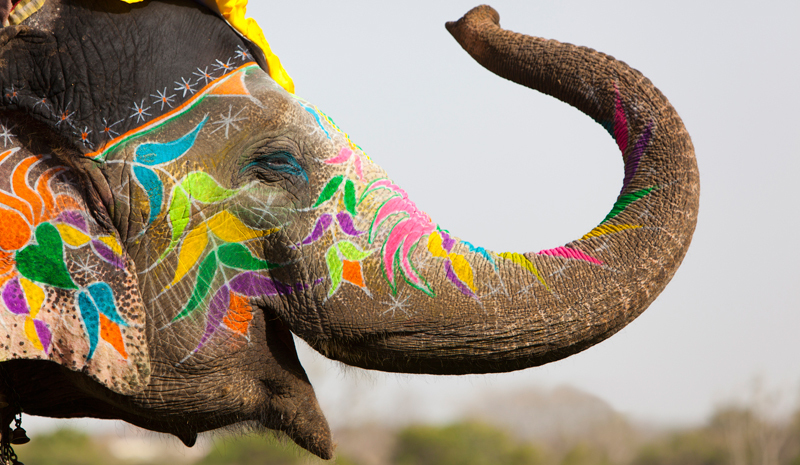 In neighbouring Jaipur, meanwhile, Holi celebrations happen to coincide each year with the Jaipur Elephant Festival. 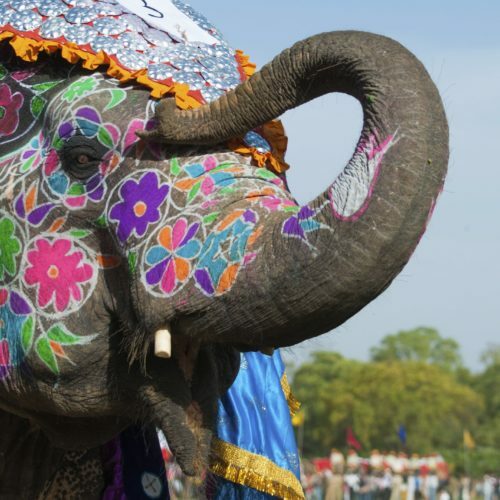 That means that, once you’ve taken part in the gulal-throwing celebrations, you can also admire the gentle giants as they’re dressed in finery and adorned with vibrant patterns. And in both cities, you can enjoy street festivities for the full whirlwind experience of the vacation—just be sure you’re not wearing any favorite outfits, as you’re guaranteed to be doused in a rainbow of colors. In Jodhpur, meanwhile, guests at the splendid Taj Umaid Bhawan Palace have the opportunity to enjoy a slightly more sedate—but no less authentic—celebration of Holi. The hotel hosts traditional celebrations, including a roaring bonfire, that are the perfect introduction for Holi first-timers. Where to celebrate Holi if you have a particularly festive streak? For those looking to let loose, Goa’s perpetual calendar of parties reaches a fever pitch during the vacation. Follow the beach-going and backpacking set for a slice of the celebrations. 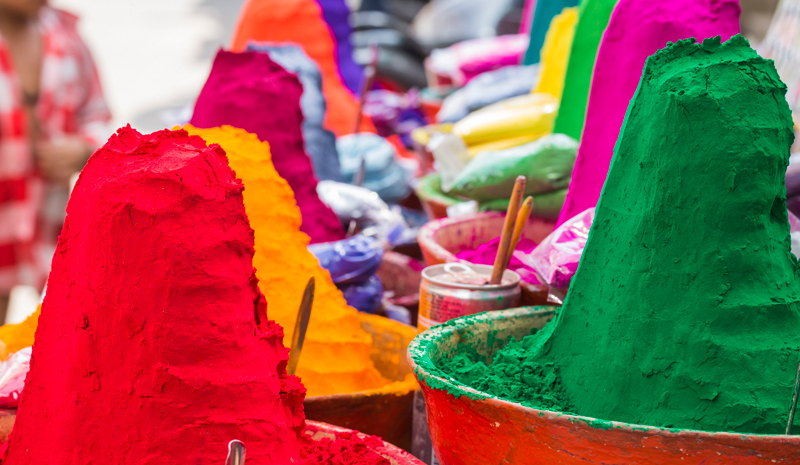 Given the vacation’s scope, visitors wondering where to celebrate Holi in India might find themselves spoiled for choice. Beyond Goa and Rajasthan, Mumbai is an ever-popular destination for glittering Holi parties. 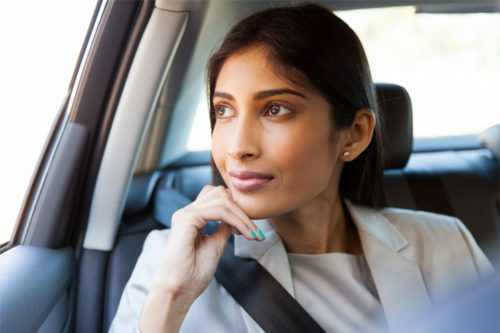 For those craving a spiritual experience, follow devotees to Mathura in Uttar Pradesh (the birthplace of Krishna, and a popular pilgrimage point) or to Hampi in Karnataka. 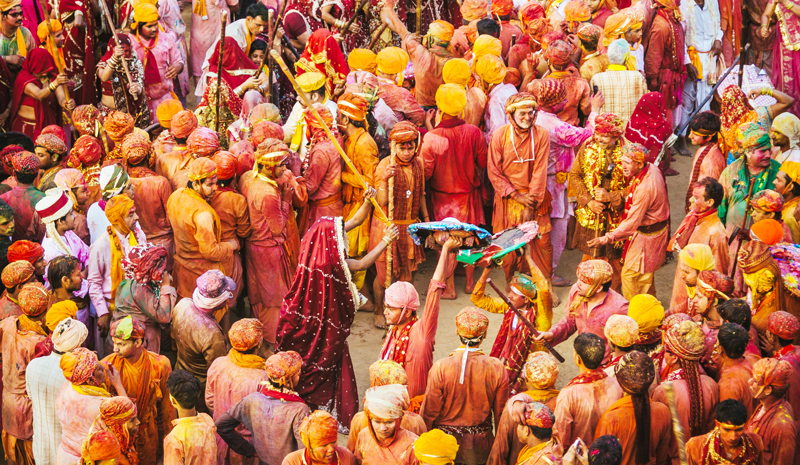 And then there’s Varanasi, one of India’s most sacred cities, where revellers pelt each other with color before entering the waters of the Ganges to wash it all away. Enjoy the views from a terrace—and be sure to indulge in the sweets, like gujia pastries, that are a traditional component of the vacation here.